No more dependency on FTPs, VPNs, or file servers. This cloud software allows you access your files at home, in the office or on any mobile device, including iOS and Android devices. Because files are uploaded to ‘the cloud’ there are no large file-sharing issues. Consumer cloud products — Dropbox, Box, Google Drive, Microsoft SkyDrive and SugarSync — were built to protect insensitive documents, and some of those documents aren’t securely transferring across devices. eCareSync has the highest level of security for any cloud platform, ensuring that your sensitive documents (contracts, designs, client history) are safe from hacking and breaches. Note: some consumer products, like Google Drive, do not encrypt your data at all. Consumer cloud products — Dropbox, Box, Google Drive, Microsoft SkyDrive and SugarSync — are hosted publicly, meaning that everyone shares the same encryption key; when that encryption key is compromised, your businesses’ documents, your clients’ documents, and your personal documents will be vulnerable. This happened with Dropbox in August, 2012, when users had their logins and passwords stolen. With eCareSync, you’ll have an encryption key that is exclusive to your business and documents, and not shared with anyone. You won’t have to worry about data loss. Access to business documents is a privilege. With the FTP, VPN and file server, it is difficult to revoke the access that employees have. eCareBox allows you to perform remote wipes of desktops for clients, former employees and rogue employees. This is complete control that businesses really need. Additionally, when an employee leaves, all files are auto deleted). Consumer cloud products perform file trimming — that means that your deleted files are preserved for a very limited amount of time. If an employee (accidentally) deletes a file, it will be gone in a matter of weeks, or even days. With eCareSync you can conveniently extend or shorten the deleted file retention periods, so that it you will never lose a file again. Each business has an organizational structure. eCareSync allows you to set policies for individuals within your company, including which employees can share files, can delete files and revisions, access certain files, and what types of files they can upload. This administrative feature allows companies to provide certain employees with unique privileges. One of the biggest problems with VPN’s, FTP’s and file servers is the fear of file revision: when employee change/edit and upload a file, that file is permanently changed. Previous drafts and revisions are lost, permanently. eCareSync stores file revisions which allow your employees to collaborate without worry. You can share files with external parties through eCareSync and through unique web addresses. 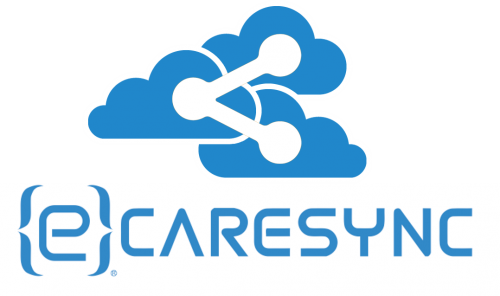 However, eCareSync also allows you to monitor the files you shared within the company and externally. For example, you can see how many times the file has been downloaded, and set file expirations. Both of these features protect the propriety of your documents. eCareSync is customized for business needs, which means you’ll be able to sync all different file types. But because it’s tedious to sync and backup file-by-file, with eCareSync you’ll be able to backup entire folders and the files within them.